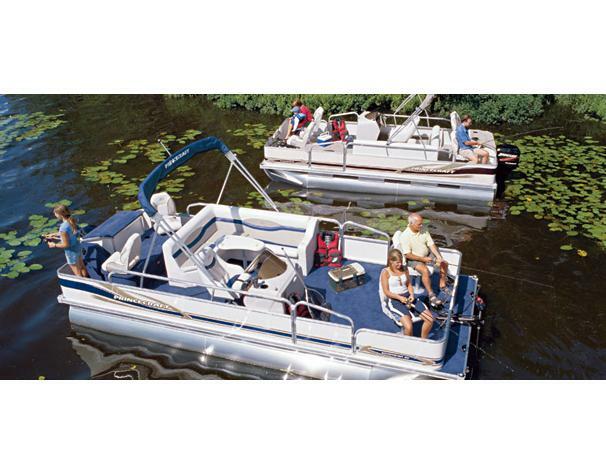 Boat Description The Princecraft Sportfisher 18 L4S is a the perfect boat to improve the chance of getting a nibble on the water. It combines the amenities and comfort of a recreational pontoon with the fishability of an honest-to-goodness fishing boat. Options include a half-camper enclosure that keeps sun and rain out yet allows plenty of room for fishing in the bow and stern. The removable privacy enclosure can be used as a changing room and can be quickly and easily stowed when not needed.